Every front end developer is striving hard to deliver incredible user interface and with new terms added in the new designs are now intended to deliver more user-friendly interfaces. In order to satiate the growing expectations and needs of the users you need to pick out the most extensive framework. Thus, in this blog we will discuss the most trending front end frameworks existing in the market. Bootstrap 3.3.6 was unveiled on 24 Nov .Though it was a much awaited release due for quite a long time but it was quite a satisfactory one as it came with a lot of CSS bug fixes. Enabled source maps for our compiled minified CSS. Guiding principles: RWD and mobile first approach . Add-ons support: None bundled, but many third-party plug-ins are available. Graphic Customization: GUI Customizer offers quite basic functionalities. Therefore, the developers have to input values of color manually, as it do not offers color picker. Zurb has unveiled Foundation 6 on November 19 and claims it to be the best version of the platform till date. They call it much lighter, faster, flexible launched with more power and flexibility which provides comprehensive support from model prototyping to product creation. Guiding principles: RWD, mobile first approach , semantic web. Documentation: Good. Along with it there are numerous resources which are available. Graphic Customization: No GUI customizer, only manual customization. Pure is accepted to be one of the most light weighted and modular front end framework which is programmed in pure CSS. The best part of this framework is that it is modular which means that the components can be used in a group or separately depending on the need of the user. Apart from all the functionalities which it offers one of the most incredible thing about this framework is that they are inviting people to become ‘digital surgeons‘. Documentation: This framework is extremely well documented. Semantic offers a very well organized documentation, plus a separate website that offers guides for getting started, customizing and creating themes. Customization: Offers manual customization only, no GUI support. With over 50 UI elements and over 3000 CSS variable this Flexbox friendly framework which is built with EM values for responsive design offers high degree of variable inheritance up to level 3 . Guiding principles: Tag ambivalence, Semantic, responsive. Unique components: Flag,Divider, Reveal, Rail, Advertisement, Step, Feed,Card, Item, Dimmer,Statistic, Shape Rating, . Documentation: Very good. It provides a well organized and structured documentation, plus a separate website that offers guides for getting started, customizing and creating themes. Customization: Offers manual customization. Projects of bigger level can rely on visual language for personalized brand awareness, it offers site themes which offers you to modify variables which fall beneath it which fosters Semantic UI. Further there are packaged open source themes available for designing projects who needs to be delivered within a short time span. Jack Calder has been a determined developer of website applications and design. He has been a perfect and personalized designer which converts PSD to CSS files in nice manner. 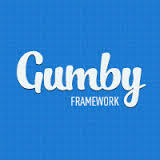 He has shared an perfect article above on the role of html and css frameworks.